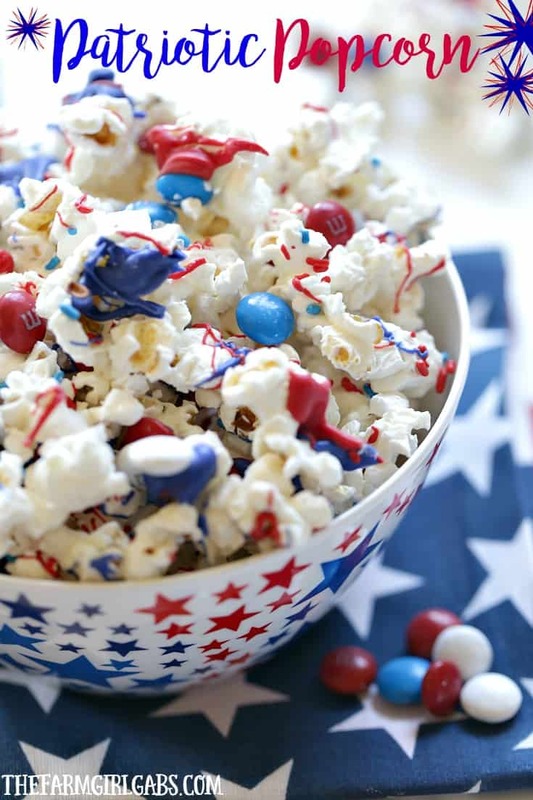 Salute the red, white and blue with this tasty Patriotic White Chocolate Popcorn. I love festive food. I guess you can say I like any reason to play with food and create fun treats, snacks, and desserts. Why not make every holiday a fun food holiday? Independence Day is the perfect time to celebrate our wonderful country. This quick and easy Patriotic White Chocolate Popcorn is an even better reason to celebrate. As you make your July 4th preparations, be sure to include this simple recipe. This is one of my favorite holidays to celebrate. Fireworks, family and food, you can’t go wrong with that. It’s a great way to usher in summer. The ingredients are pretty straight-forward for this patriotic pleaser. I used a bag of kettle corn because I love the sweet and salty flavor. Some Red, White & Blue M&Ms® along with some Red , White and Blue Melting Wafers and sprinkles add the perfect patriotic vibe. Of course, you can serve this popcorn any time of the year by adding regular M&Ms® and any color melting wafers you want. Once you pop the popcorn, spread it out on a lined baking sheet . Melt the white chocolate and drizzle over the popcorn. Give it a good mix to make sure all the popcorn is covered. Add some colorful M&Ms® evenly. Melt the red and blue melting wafers and drizzle over the popcorn. Add some of the sprinkles to the popcorn. Let the popcorn sit out so the chocolate can dry. You can store this Patriotic White Chocolate Popcorn in an airtight container (if it lasts that long). It keeps well for several weeks. Salute the red, white and blue with this tasty Patriotic White Chocolate Popcorn. This delicious snack is perfect for your next star-spangled party. Pop popcorn in microwave according to package directions. Spread out on a sheet pan. Melt white chocolate in microwave for about 1 minute. Stir at 30 seconds. Drizzle over popcorn. Use a spatula to incorporate. Melt red and blue wafers (in separate bowls). Drizzle over popcorn mixture. 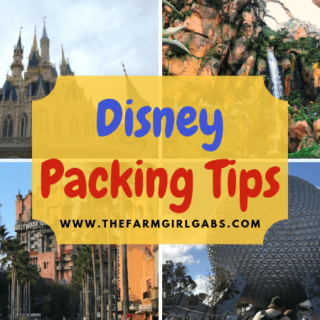 Need some more holiday ideas? Here’s a whole bunch of Patriotic Desserts!